Hello, friends! 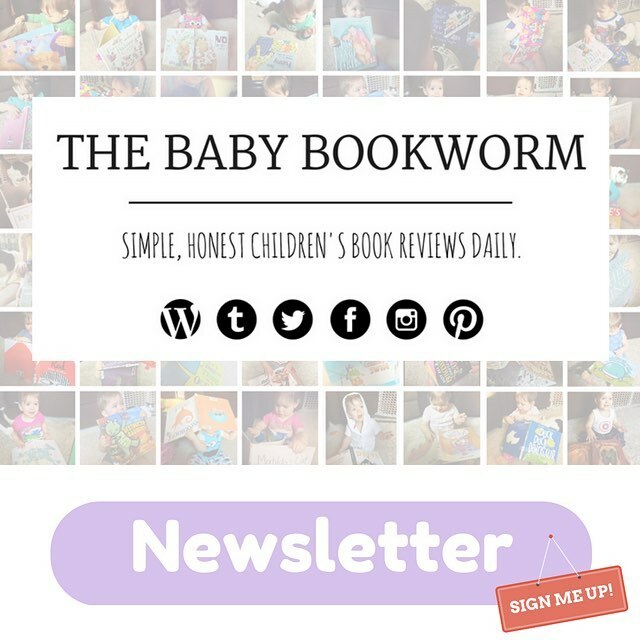 Today’s review is of two board books from the Wee Beasties series: Huggy The Python Hugs Too Hard and Roary The Lion Roars Too Loud, both written by Ame Dyckman and illustrated by Alex G. Griffiths. Aiming to help little ones learn basic social skills, both books introduce adorable characters with lessons to learn. For instance, Huggy the python loves to hug the things he loves, but he finds that when he hugs things too tight (such as a balloon or an ice cream sundae), he can break or hurt them. Similarly, Roary the lion loves to let loose his big roar, more often than not startling his family members. In both cases, the reader is employed to help teach the character how to calmly interact, gently hugging a puppy and quietly wishing a baby “night-night.” And once the reader sets such a wonderful example, the characters learn how to gently and responsibly show their excitement. We LOVED these! The lessons were well-imparted, necessary, and used the interactive elements in both fun and educational ways. The characters and illustrations were absolutely charming, and the friendly conversational text made reading them aloud a joy. The lengths were perfect, and JJ had an absolute blast with them, especially the interactive pages and the art. Even the clever twist at the end of Roary was perfect. I hope to see more of this series very soon, because these two are emphatically Baby Bookworm approved!